Consequences -- both negative and positive -- of ramping up automation in the workplace are sure to be felt in the years to come. Therefore, there is much debate over the future of automation and how much we should integrate smart software into our daily lives. It seems clear that research into machine learning, however, has only accelerated regardless of warnings from prominent scientists, researchers, and business owners. How could AI possibly usher in a better era for workers? This question is more difficult to answer than one might assume. Artificial intelligence is powerful. It’s currently being wielded to further cancer research, map enormously complex data, and power self-driving cars. How do you account for a technology that is so powerful? The capabilities of AI are endless. The endless possibilities of AI are both alluring and alarming. In one case, an innovation within machine learning could lead to more efficient teams. In another case, it could result in the elimination of that team altogether. It seems that we must use AI with a great degree of planning, cautiousness, and research. If we do account for all the variables when introducing artificial intelligence to a new industry, then it will have the most beneficial effect possible. What possible benefits are they? The list goes on and on due to the fact that AI is very good at cutting out routine and repetitive mental work. For example, smart software has the ability to make accurate medical diagnoses. Because of this, AI has been powering telemedicine, a technology that allows for extremely low-cost, high-quality medical care. How would this research impact the lives of current researchers? At present, this kind of software has been helpful to researchers, allowing them to comb through excessive amounts of data in a much speedier fashion. Medical researchers aren’t the only ones who will be affected positively by automation, either. According to Domingos while AI is very good at replacing jobs comprised of routine work, they aren’t very good at common sense or creative thinking. 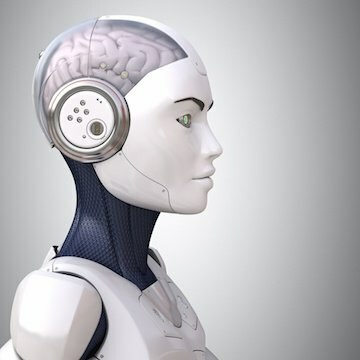 “In the next five to 10 years, AI and specifically deep learning will enable robots to do some of the basic tedious and time-consuming tasks that we do each day,” Matt Murphy, CMO of the AI-enhanced real estate company Chime, told Business News Daily, echoing Domingos assertion that AI alleviates workers from the mundane. AI could help disabled workers simplify their work lives by assisting with eyesight, hearing, and mobility. “Cognitive systems are learning to describe images for people with visual impairment,” explains Shari Trewin, researcher at IBM T.J. Watson center. “Facebook is already rolling out an automatic description feature for images uploaded to its social network. With helpful technology like this, companies could create stronger, more supportive teams. Members would be bolstered by the presence of AI instead of replaced entirely. Teams could more effectively complete assignments with AI that helps delegate tasks, for example. Managers could more precisely guide their team with assistance in analyzing key data. AI could improve every area of work, in every sector, by cutting out routines, freeing up mental resources, and assisting workers with daily tasks. About the Author -- Donna Howard is a business consultant working with high growth companies for their business development. She has worked with companies in scaling their business operations from Europe, Asia and Africa. You may connect with her on Twitter. Want to learn more about Artificial Intelligence and other emerging technologies like Blockchain, Cloud, and Robotic Process Automation? Check out our online training.